Unmatched development and repositioning expertise. Through Redgate Capital Partners, we selectively co-invest with our clients offering an ownership stake in mixed-use property development acting as the developer/operator. We also seek equity partners as appropriate to realize real estate opportunities we uncover. deep expertise in large master-planned mixed-use developments among Redgate principals. We believe our ability to find creative investment opportunities with limited competition and off-market sourcing, together with a demonstrated ability to execute, can deliver attractive risk-adjusted returns to equity investors. Unparalleled execution of creative investment opportunities via off-market sourcing. 100% of existing investment portfolio and current active pipeline has been direct-sourced. Proven ability to identify emerging “outer-urban” neighborhoods ahead of market. 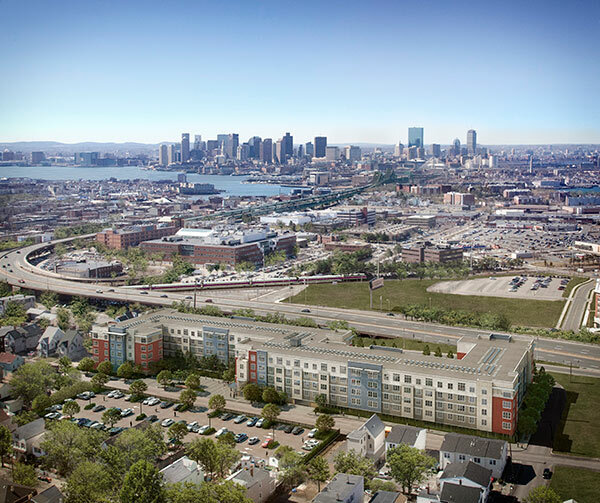 Redgate’s recent pioneering developments have spurred the re-birth and growth of new city neighborhoods in Boston’s outer urban core, including Somerville, Chelsea, and Quincy. Execution of over 25M SF of mixed-use development by Redgate principals since 1992. Experience includes master-planning, permitting, designing, developing and repositioning large-scale, multi-phase projects. Disciplined and effective asset and risk management. Strong local relationships with best-in-class third party marketing, leasing, and property management companies. Hands-on partner-level involvement through the life of the investment provides consistency and mitigates risk. Institutional clients look to Redgate to provide oversight and risk mitigation on projects valued well into the billions. Through our multifamily real estate investment affiliate Gate Residential Properties, LLC, we design and craft residences to foster “new urban neighborhoods”–revitalized and vibrant neighborhoods with easy access to city life. We are focused on new development and strategic acquisitions in metro Boston and select East Coast markets.